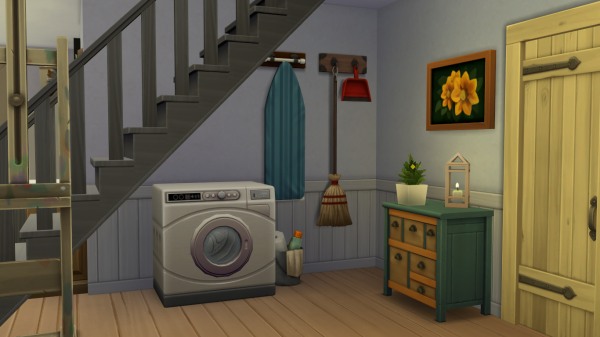 In addition to washing machines and clothing racks, The Sims 4 Laundry Day Stuff has brought with it a whole heap of new rustic style items. 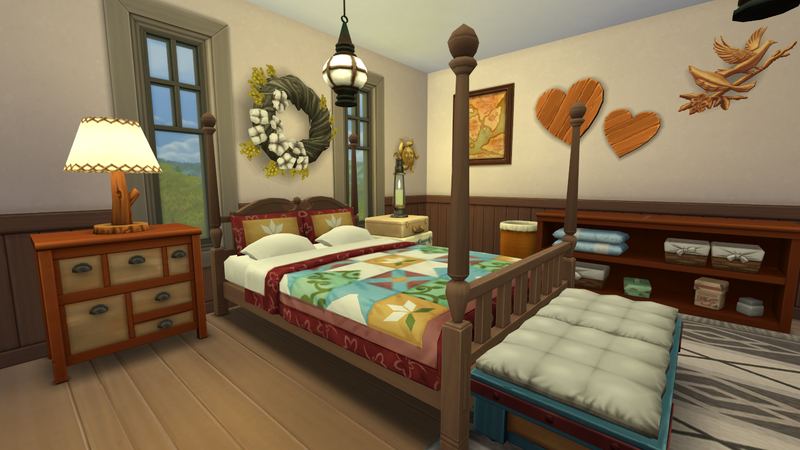 From wicker chairs to washtubs, I’ve used almost everything this pack has on offer to create an idyllic country-side retreat! 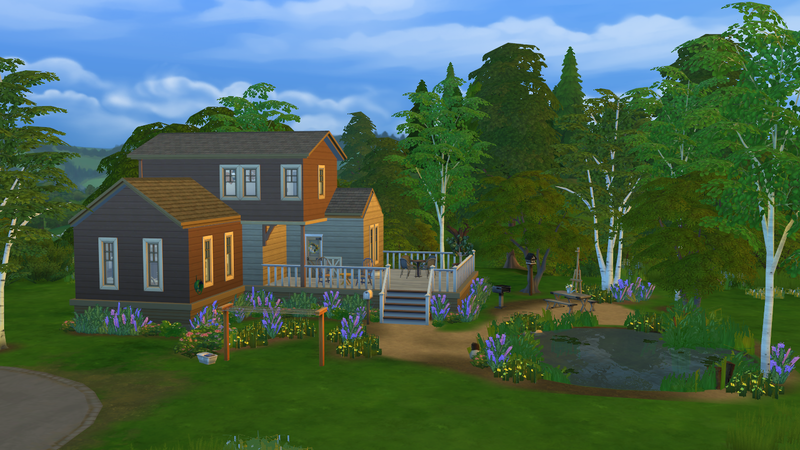 Complete with neutral colours, wood-tones, and more clutter than anyone ever needs, this house is perfect for those Sims who want to escape the city and get back to nature! For this build, I decided that Windenburg would be the perfect location. Surrounded by grazing sheep and rolling hills this neighbourhood provides the ideal backdrop for my off-the-grid home. The items from Laundry Day Stuff can look good anywhere but if you’re wanting to achieve that stereotypical l rustic look I recommend building in Brindleton Bay, Windenburg, or Willow Creek! 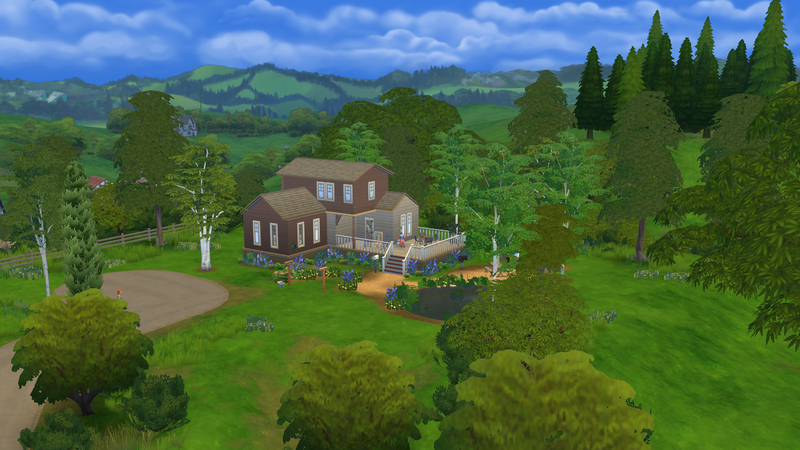 To make this build feel secluded and rural, I added lots of trees and flowers to the area surrounding my house. Although you won’t always find a perfect match, using similar plants and trees to the ones found around your neighbourhood will help make your build looks like it really belongs! You can see here how I have tried to match the trees to the ones in front of and behind the house! 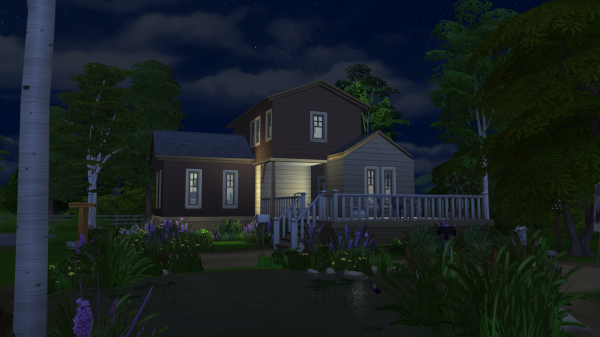 To insure my build looked rustic on the outside, as well as on the inside, I decided to create a wood cabin. As cabins are generally very basic shapes, this is a simple and effective style of house that doesn’t require crazy building skills. Try experimenting with a few different sized rectangles, placing them in different orientations until you find a shape you like! Because of the cabin’s simple design, I added interest with a large deck and two different colours of wooden siding. 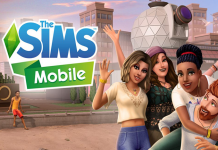 As Stuff Packs come with fewer items than Game Packs or Expansion Packs, you will often need to supplement your build with objects and décor from the base game or from other DLC. 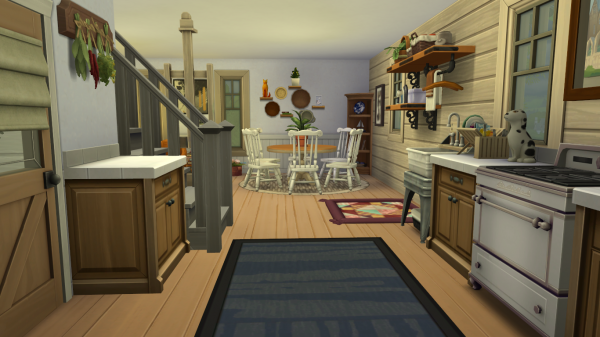 For this Rustic Home, I found that the many of the items from The Sims 4 Cats and Dogs fit perfectly with my theme and helped to provide a few more options to play around with! Although not everything matched perfectly, I would often reach for objects from this Expansion when the Stuff Pack was lacking. 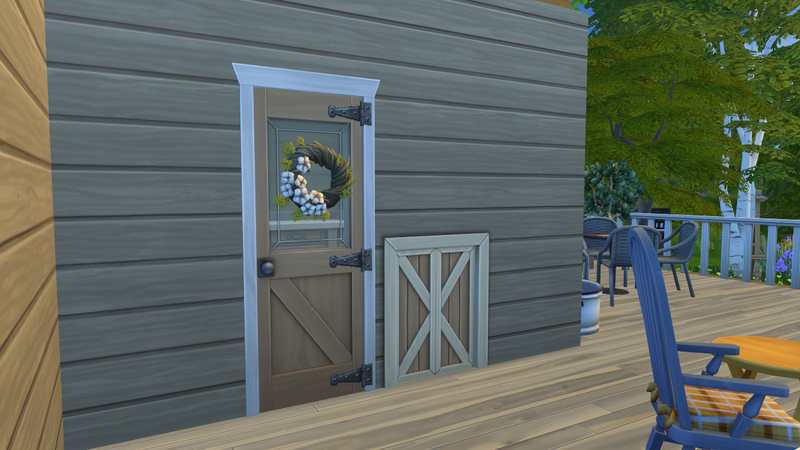 This build’s windows, interior doors and flooring came from Cats and Dogs, as well as a few pieces of furniture. 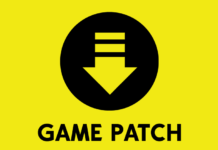 In order to make my job a little easier, I filtered the Build Mode catalogue by Cats and Dogs and Laundry Day Stuff. This simultaneously made sure that I had used as many items from the new Pack as possible and helped to save time by placing all of the game’s rustic furnishings in one place! This 6-seater table is from Laundry Day Stuff but I have paired it with some farmhouse style chairs from Cats and Dogs. If you’re building something homely or rustic, it’s always a good idea to fill the space with a whole variety of different items! I really enjoyed filling every blank wall and empty space with something eclectic or interesting. 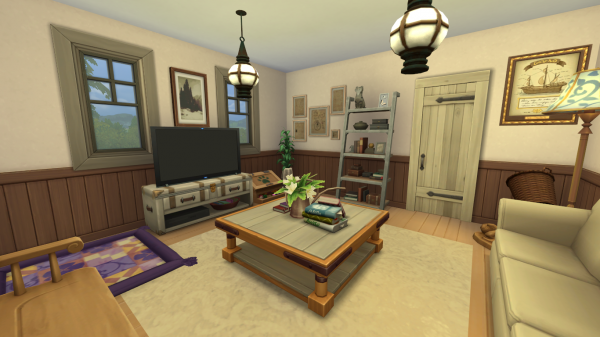 I wanted this build to feel as if the décor had been collected over the course of a Sim’s life — nothing matches perfectly, yet each room still looks cohesive and well decorated! Of course, a Laundry Day Stuff build would not be complete without a washing machine. I decided to place mine under the stairs, creating a miniature utility room with a few cleaning supplies and an ironing board. I love the way that this area adds to the cluttered feel of the build! None of the rooms in this build have a clear colour scheme. For the most part, they are a random mixture of different tones and shades! 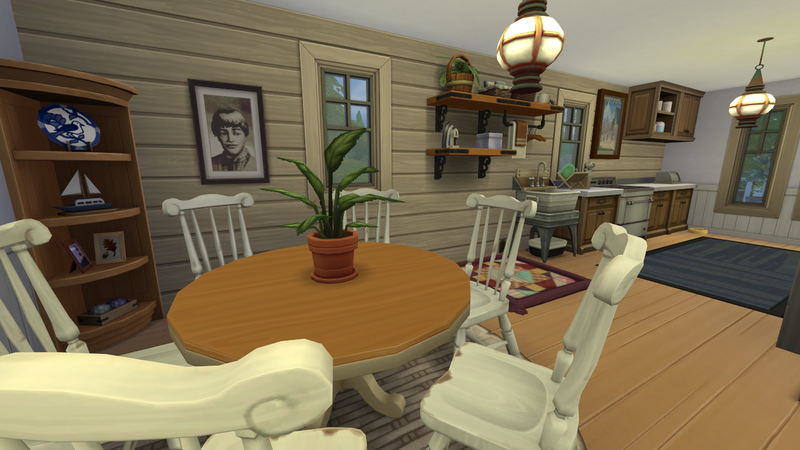 I really like the way this looks, not only does it add to the build’s country-side aesthetic, but it meant that I had much more freedom in terms which items I could place where. Although I didn’t have a strict colour scheme, I did decide to stick to neutral colours. Almost all of the items that came with Laundry Day Stuff are slightly muted in colour. 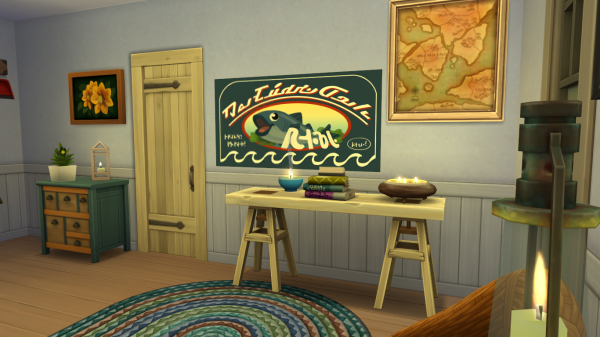 For this reason, I didn’t want to upset the build’s cosy feel by adding bright reds and yellows. Anything I have placed tends to be soft in colour. 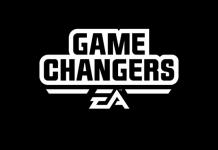 I stuck to light blues, browns, and wood-tones, making sure that any items from the base game or other DLC didn’t jar with the rest of the build. I also, for the most part, kept away from dark colours. 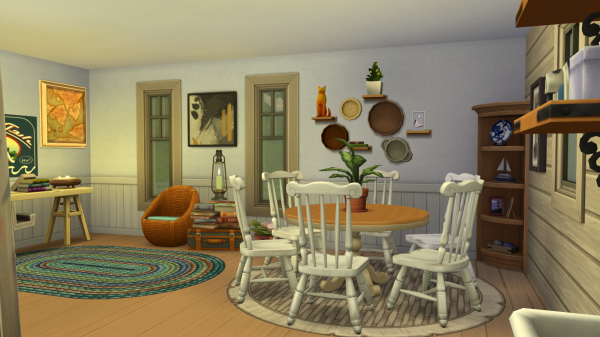 I wanted the space to feel light, airy, and inviting! One of my favourite parts of this build is the wreath on the door. This wreath came with Laundry Day Stuff and is usually much larger than it appears here. 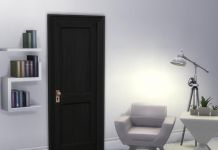 Using the Resize Cheat (selecting the item and pressing the Left-Square Bracket Key), I was able to size it down until it fit perfectly on the door. Although it is completely possible to create a pond in The Sims 4 without using cheats, it’s a time consuming task and the end-product never looks as natural as the pond you find in Willow Creek’s Park. 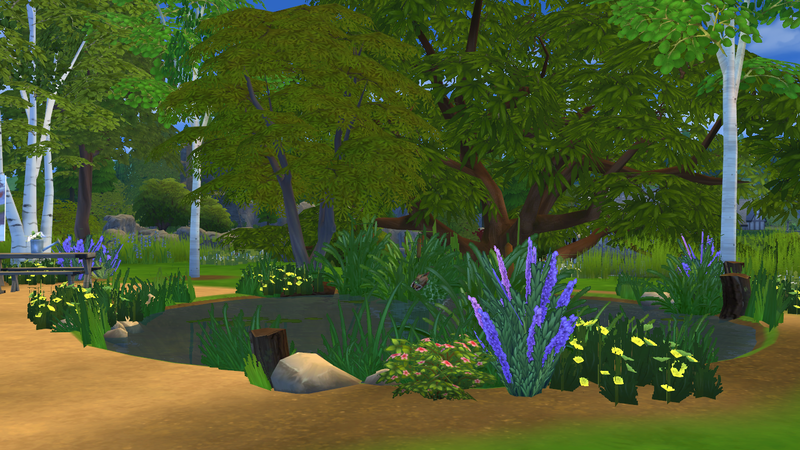 In this build, I used the BuydeBug Cheat to add in a real pond, exactly like those you find in the game. 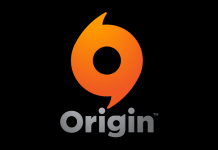 Opening up the Cheat Bar (Press Ctrl + Shift + C) and typing in bb.showhiddenobjects will unlock a whole host of new items. There’s always tons of interesting things to be found so I urge you to take a good look through and see what you can discover. To find the pond, I simply typed “Debug” into the search bar and scrolled through the objects until I stumbled across what I was looking for! Hopefully this has given you some inspiration for building your own rustic homes! Happy Building! 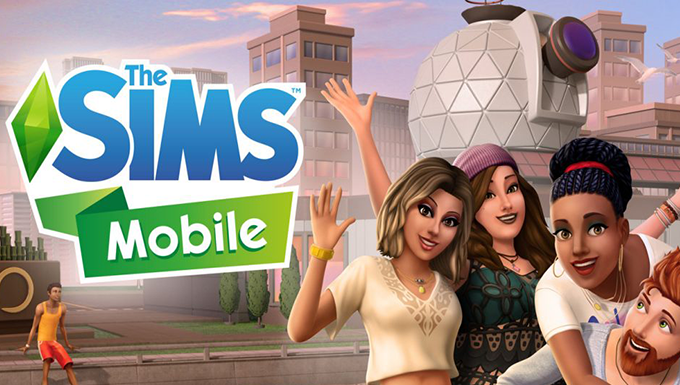 Previous articleSimsVIP’s Sims 4 Laundry Day Giveaway Winners!